I've got a treat for your Monday eyes, my lovelies! My pal Keely and I have been planning this post for weeks now, just waiting for the right time to spring all this party fab upon you. 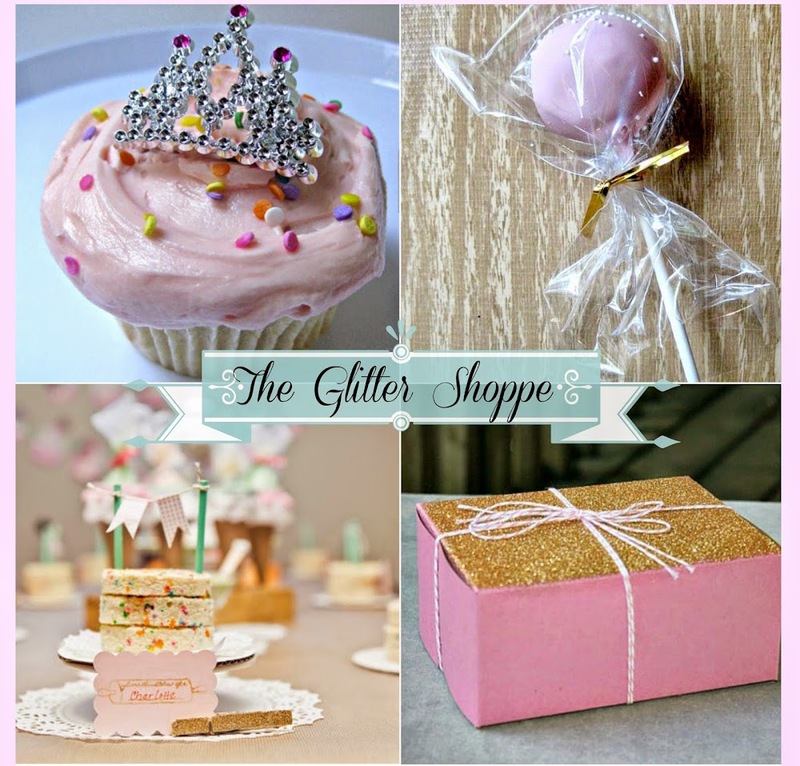 I'm so excited to have created this post in partnership with The Glitter Shoppe, and I'm just thrilled to have this beautiful Etsy store for a sponsor! Keely, the owner and curator of The Glitter Shoppe's wares, is a buddy of mine whom I discovered on Pinterest. I've made some really great friends on Pinterest! She's always been a great supporter of my pinning activities and of my blog. So when she approached me about creating a post for her Etsy party supply store, and when I saw what she was stocking over there, my immediate response was OH YES. Let's do it! I wish I wish I wish I had known about The Glitter Shoppe for any of my daughter's past 8 birthdays. Keely's goods are right up my alley, and if you're here reading my blog, I suspect that you'll share my views, if you have a fondness for pink, sparkle, and vintage-inspired party festivities! If you need party supplies, The Glitter Shoppe has super unique items that you have to absolutely positively check out. Case in point: little 'Madeline' capelets! I mean really. Have you ever?? These stopped me in my tracks when I first saw them. Confetti washi tape! Oh how I love fun washi tape! And more varieties of glittery, colored clothespins than you can shake a stick at ~ perfect for holding banners, giftbags and place holders. How great would candy cane spoons be for a holiday party this Christmas season? Or for hot chocolate gatherings? Pretty great I tell you, and I'm ordering some of these. My kid will flip. My friends, I haven't even shown you one quarter of what's over there in The Glitter Shoppe. You need to go check it out, there's just cool item after cool item. Glitter-dusted pastry boxes! Victorian cameos and fancy doilies! 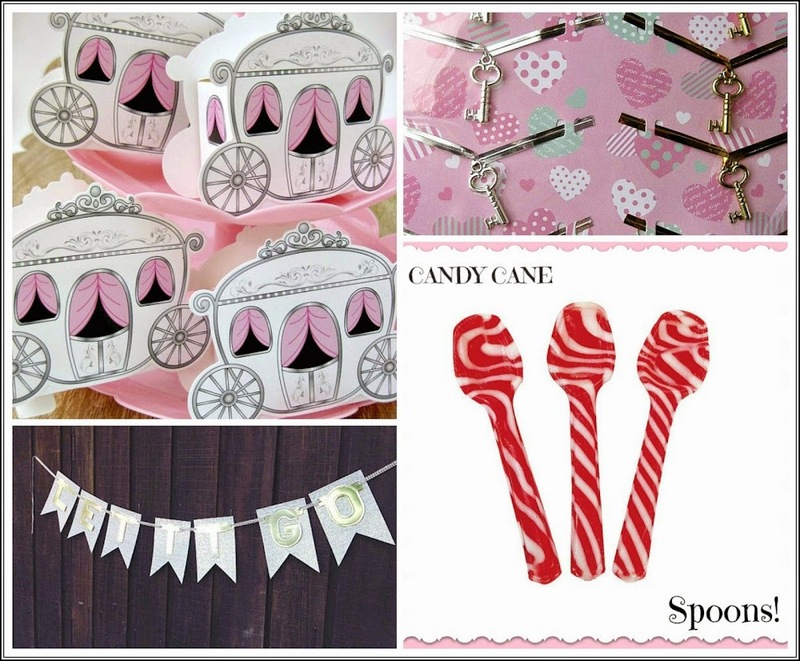 From gift tags to fairy dust, there's a lot of party goodness to be had. 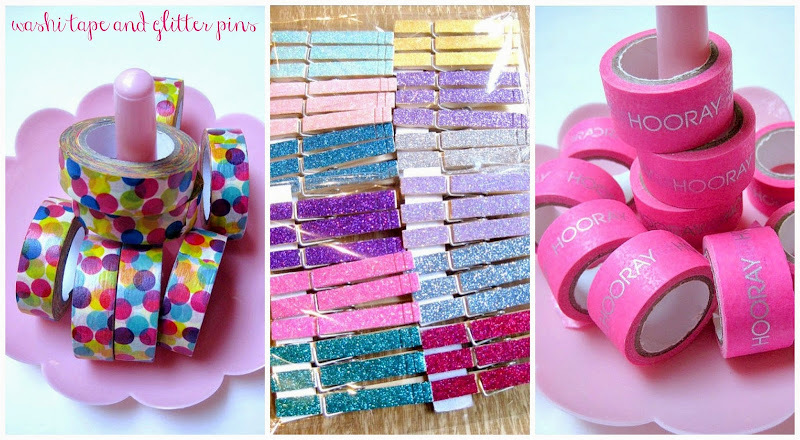 So go check out Keely's store and if you so fancy, you can check out The Glitter Shoppe on Facebook as well ~ I'm already a Facebook fan and there are always fun links to all kinds of party planning awesome! There. Didn't your day just get a little more festive? Adorable! I love those Madeline capes, what a wonderful idea! aren't those the greatest?? never seen anything like that for parties! Sooooo cute. I mean, who doesn't love glitter??? Glitter-dusted pastry boxes? Oh, yes!!!!! I'm super in love with all of her pastry box options! Seriously cute! The Madeline capelets are flippin' awesome! I still can't get over them, seriously. Amazing! OMG OMG OMG I love it all. That cape! Those spoons! And she carries heart shaped balloons? Yay! Thank you Melissa for the delightful post! you are so welcome! i like parties. esp if someone does most of the work for me! The little Madeline's capes and hats! OMG so precious! Love love love it all! What's not to love about this shop? 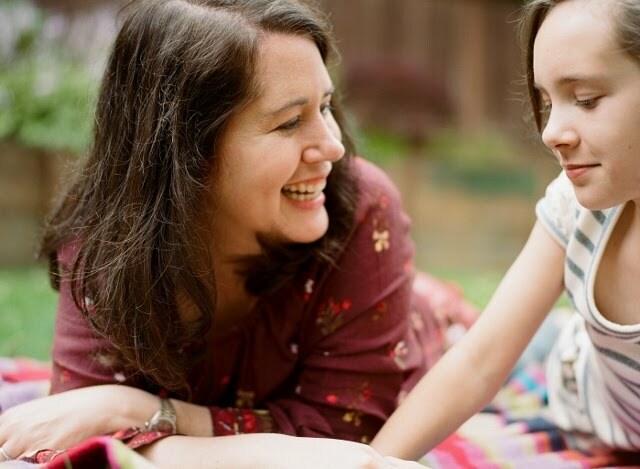 I am still wondering what to do for my daughter's birthday. I think we won't make it big yet because she will turn 2 only. Maybe next year we will do a big one! Love Love Love The Glitter Shoppe! It's really fantastical. So glad to know about it as a resource!! !